LocoNet over TCP let LocoNet clients share one LocoBuffer. Overview of the LBServer by Stefan Bormann. The computer DNS name or TCP/IP address. released under GPL by Stefan Bormann. Linux port by Ian Cunningham. 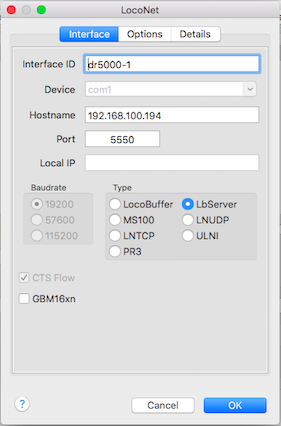 Loconet device port opened on /dev/ttyUSB0 with 57600 baud and CTS flow control. 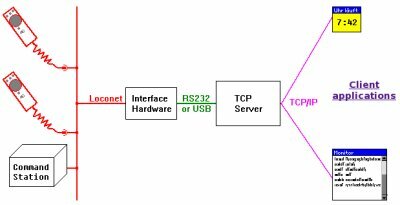 TCP server started on port 5550.